wedge point court is a senior low income housing apartment subsidized by the federal governments hud (housing and urban development division). Contact wedge point court for complete details on the current vacancies and housing applications. urban park apartments is a family low income housing apartment subsidized by the federal governments hud (housing and urban development division). Contact urban park apartments for complete details on the current vacancies and housing applications. the daisy house is a low income housing apartment subsidized by the federal governments hud (housing and urban development division). Contact the daisy house for complete details on the current vacancies and housing applications. southeast towers ii is a family low income housing apartment subsidized by the federal governments hud (housing and urban development division). Contact southeast towers ii for complete details on the current vacancies and housing applications. Lake ravine apartments is a family low income housing apartment subsidized by the federal governments hud (housing and urban development division). Contact lake ravine apartments for complete details on the current vacancies and housing applications. Keeler park apartments is a senior low income housing apartment subsidized by the federal governments hud (housing and urban development division). Contact keeler park apartments for complete details on the current vacancies and housing applications. Jng, inc is a low income housing apartment subsidized by the federal governments hud (housing and urban development division). Contact jng, inc for complete details on the current vacancies and housing applications. Jack kenny apartments is a senior low income housing apartment subsidized by the federal governments hud (housing and urban development division). Contact jack kenny apartments for complete details on the current vacancies and housing applications. R. L edwards manor is a senior low income housing apartment subsidized by the federal governments hud (housing and urban development division). Contact r. L edwards manor for complete details on the current vacancies and housing applications. sycamore green is a family low income housing apartment subsidized by the federal governments hud (housing and urban development division). Contact sycamore green for complete details on the current vacancies and housing applications. Edison senior housing is a senior low income housing apartment subsidized by the federal governments hud (housing and urban development division). Contact edison senior housing for complete details on the current vacancies and housing applications. Buena vista manor is a low income housing apartment subsidized by the federal governments hud (housing and urban development division). Contact buena vista manor for complete details on the current vacancies and housing applications. Cedars of chili is a family low income housing apartment subsidized by the federal governments hud (housing and urban development division). Contact cedars of chili for complete details on the current vacancies and housing applications. East court v is a family low income housing apartment subsidized by the federal governments hud (housing and urban development division). Contact east court v for complete details on the current vacancies and housing applications. 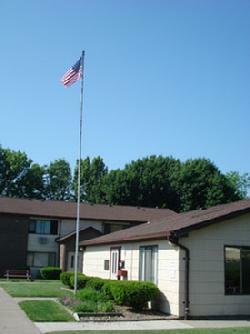 Brown's memorial manor is a senior low income housing apartment subsidized by the federal governments hud (housing and urban development division). Contact brown's memorial manor for complete details on the current vacancies and housing applications. Dunn towers ii is a senior low income housing apartment subsidized by the federal governments hud (housing and urban development division). Contact dunn towers ii for complete details on the current vacancies and housing applications. Dunn tower apartments is a senior low income housing apartment subsidized by the federal governments hud (housing and urban development division). Contact dunn tower apartments for complete details on the current vacancies and housing applications. Andrews terrace is a senior low income housing apartment subsidized by the federal governments hud (housing and urban development division). Contact andrews terrace for complete details on the current vacancies and housing applications. Fight village is a family low income housing apartment subsidized by the federal governments hud (housing and urban development division). Contact fight village for complete details on the current vacancies and housing applications. Cedarwood towers is a senior low income housing apartment subsidized by the federal governments hud (housing and urban development division). Contact cedarwood towers for complete details on the current vacancies and housing applications. Atwood park apartments is a senior low income housing apartment subsidized by the federal governments hud (housing and urban development division). 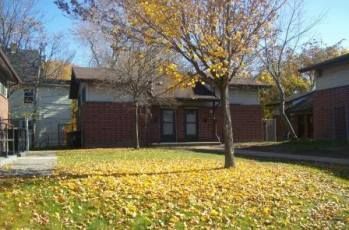 Contact atwood park apartments for complete details on the current vacancies and housing applications. Butterfly fields is a low income housing apartment subsidized by the federal governments hud (housing and urban development division). Contact butterfly fields for complete details on the current vacancies and housing applications. Parkway commons is a senior low income housing apartment subsidized by the federal governments hud (housing and urban development division). Contact parkway commons for complete details on the current vacancies and housing applications. Park ridge commons is a senior low income housing apartment subsidized by the federal governments hud (housing and urban development division). Contact park ridge commons for complete details on the current vacancies and housing applications. Newport highlands is a family low income housing apartment subsidized by the federal governments hud (housing and urban development division). Contact newport highlands for complete details on the current vacancies and housing applications. Los flamboyanes is a family low income housing apartment subsidized by the federal governments hud (housing and urban development division). Contact los flamboyanes for complete details on the current vacancies and housing applications. elderly housing development & operations corp. Maintains 92 units at this location. Utilities Included: (user reports): Heat and hot water. Low income housing for the elderly and disabled. To develop a housing project for elderly persons under section 202 of the national affordable housing act. Cornhill apartments is a low income housing apartment subsidized by the federal governments hud (housing and urban development division). Contact cornhill apartments for complete details on the current vacancies and housing applications. Genesee gateway is a family low income housing apartment subsidized by the federal governments hud (housing and urban development division). Contact genesee gateway for complete details on the current vacancies and housing applications.